The Nigeria Police (NP) is a noble and reputable profession with enviable track records to its credit; it is designated by Section 194 of the 1979 constitution as the national Police with exclusive jurisdiction throughout the country. Constitutional provision also exists, however, for the establishment of separate NPF branches "forming part of the armed forces of the Federation or for their protection of harbours, waterways, railways and airfields." One such branch, the Port Security Police, was reported by different sources to have strength in 1990 of between 1,500 and 12,000. Records of facts have it that Nigeria's police began with a thirty-member consular guard formed in Lagos Colony in 1861. In 1879 a 1,200-member armed paramilitary Hausa Constabulary was formed. In 1896 the Lagos Police was established. A similar force, the Niger Coast Constabulary, was formed in Calabar in 1894 under the newly proclaimed Niger Coast Protectorate. Likewise, in the north, the Royal Niger Company set up the Royal Niger Company Constabulary in 1888 with headquarters at Lokoja. When the protectorates of Northern and Southern Nigeria were proclaimed in the early 1900s, part of the Royal Niger Company Constabulary became the Northern Nigeria Police, and part of the Niger Coast Constabulary became the Southern Nigeria Police. Northern and Southern Nigeria were amalgamated in 1914, but their police forces were not merged until 1930, forming the NP, headquartered in Lagos. During the colonial period, most police were associated with local governments (native authorities). In the 1960s, under the First Republic, these forces were first regionalized and then nationalized. The NP performed conventional police functions and was responsible for internal security generally; for supporting the prison, immigration, and customs services; and for performing military duties within or outside Nigeria as directed. Police officers were not usually armed but were issued weapons when required for specific missions or circumstances. They were often deployed throughout the country, but in 1989 the administraion of Gen. Ibrahim Babangida announced that a larger number of officers would be posted to their native areas to facilitate police- community relations and other functions in the interest of the protection of lives and properties against jeopardy. 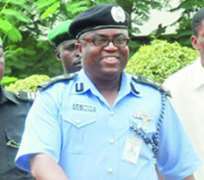 Nigeria Police has however witnessed different review on its statutory responsibilities in country by successive government. Several men and women of Nigerian Police come rain or shine, day and night, sacrifice their time, energy, lives, resources, deep intelligence etc, with the task of combating crime and in fishing out men of the underworld who would not allow the society to be at peace while going about their legitimate pursuits. No doubt however, there could be some bad elements among the Police whose hands are somewhat soiled with engagements that are capable of mudslinging the image of the profession and by extension Nigeria as a country. But some monitoring team in the Police have also not relent in making such bad eggs and erring members to face the wrath of the law; some are meant to suffer varying penalties like jail terms, and in some instances summary dismissal as the case may be. Despite the judicious execution of all the oversight functions of the Nigerian Police in the public interest, the organisation has continue to receive double blow from its key stakeholders, the government and the public (tax payers); it is unfortunate that the feedback the Police often get from the members of the public have often been aspersions, vituperative criticisms, rejections, stigmatizations etc. An average Nigerian in their right thinking would find it difficult to recommend to their relations or offspring to pick a career in the Police profession, it is worrisome to see that happening, that is the demeaning situation the image of the Police has been reduced to at least in the Nigeria context. As a matter of urgency the perception/attitude of Nigerian public about the Police is seamingly screaming for a change. Moreover, we are meant to understand that Nigeria is under-policed; this is a critical issue for the federal government to attend to immediately because this overwhelming setback can affect the internal security of the nation, since there is no mandate for any State in Nigeria to have ''State Police'' issues of Policing are strictly on the ''Federal exclusive list''. Apart from that federal government has not really implemented any plan to catering for the welfare of the Police, as it relates to their remuneration, Kitting, Insurance scheme, equipments, recruitment process, promotion, etc. The alleged =N=50billion corruption saga which involved the pathfinders of Police Equipment Foundation (PEF), Chief Kenny Martins and his Deputy, Mr Ibrahim Dumuje, is another devastating blow to the Nigeria Police. If this huge amount is successfully recovered I believe it could help in addressing some if not all the problems that are challenging the success, efficiency, and the effectiveness of Nigeria Police. Consequently, the Economic and Financial Crimes Commission's (EFCC) boss Hajia Farida Waziri and Mr. Mike Okiro (Nigeria Police Inspector General) should be applauded for their unflinching efforts in getting to the root of the high profile corruption which has really undermined the integrity and the image of Nigeria, especially the scandal relating to the Police Equipment Foundation. This is the time for all stakeholders responsible for the promotion of Police welfare in Nigeria to act appropriately, so that the generality of Nigerian public will abundantly benefit from it. In every civilized society security is key to achieving economic growth and productivity. Nigeria will be great again and to achieve this purposeful vision our Police must be rebranded and overhauled so as to compete favourably with its counterparts in other parts of the world. Emmanuel Ajibulu is the representative of modernghana.com in Nigeria with the mandate to cover politics and entertainment newsworthy events.